PRINCE2 is the de-facto standard for project management in the UK. Project managers in Europe and the rest of the world also use the method to make their projects a success. So what is it and why has it become so important? PRINCE2 was originally developed and has evolved further since to try and provide a consistent way to deliver projects. All projects are of course different, it is what differentiates them from day to day repeatable operations. 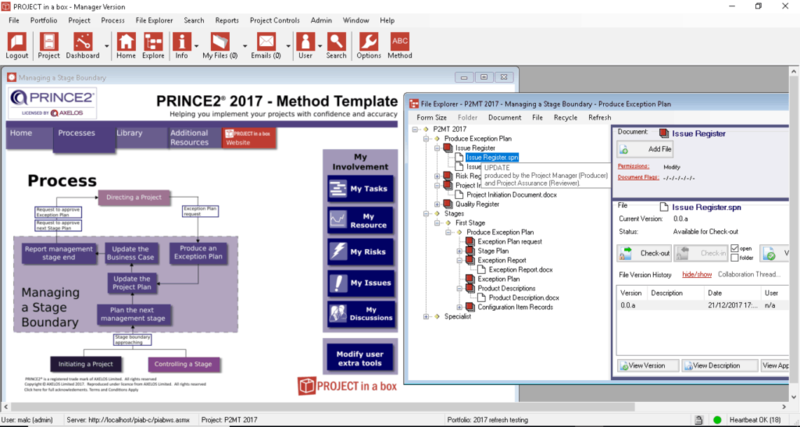 PRINCE2 can wrap any type of project by addressing the processes, techniques and tools required to deliver projects successfully. The processes lay down the steps be taken on all projects, irrespective of what they are producing, for successful delivery. Users can apply the method across a wide range of sectors because of the separation from the idea of deliverables or ‘products’. Team members find this common language, process and expectations very helpful. Project managers are more portable and able to move company or even sector without necessarily having to retrain. This PRINCE2 badge has consequently made the qualification very popular. People who are new to PRINCE2 sometimes find it a bit daunting because of the structure involved. Some users can find the language difficult but remember it is worth sticking with for the benefits it brings. Project Managers will gain personally and consequently generate success for their organisation. Hence we have put these pages together to help those new to PRINCE2 to find out more about it with a range of free resources. Qualified PRINCE2 Practitioners and those with the Foundation qualification have found the resources provided helpful for reference or as a refresher. PROJECT in a box provides you with probably the best resources available for the methodology. You can download our free Community Edition tool now if you want. It will provide you with the Resource Pack containing templates, glossary and other helpful resources. You will also be provided with a host of valuable other methodologies. Or you can purchase our Method Template, a fully official licensed PRINCE2 package. Our official Method template provides all the materials structured into the PRINCE2 processes. Consequently qualified project managers find this a helpful resource. Anybody contributing to PRINCE2 projects also benefits because everything is easier to follow. AXELOS released a revised version of the methodology in 2017. This 4th refresh has gone much further in helping it be applicable for smaller projects. We were again the authors of the official PRINCE2 templates. This is the third time we have been asked to produce them and are also making them available in our software. Our blog also contains a number of articles on the 2017 refresh. Our latest series of videos looks at putting your training in to practice. These take you through the options you have for implementing PRINCE2. Showing you how you can easily transition from the classroom to delivering on real projects. Most users go for the free option and this is recommended by many course tutors as well. If you are willing to spend a little then the capabilities jump pretty quickly. The official P2 Method Template provides great process context and saves you referring back to your notes so much. Users who step up to Personal Edition also get reporting and the ability to tailor the method as well.